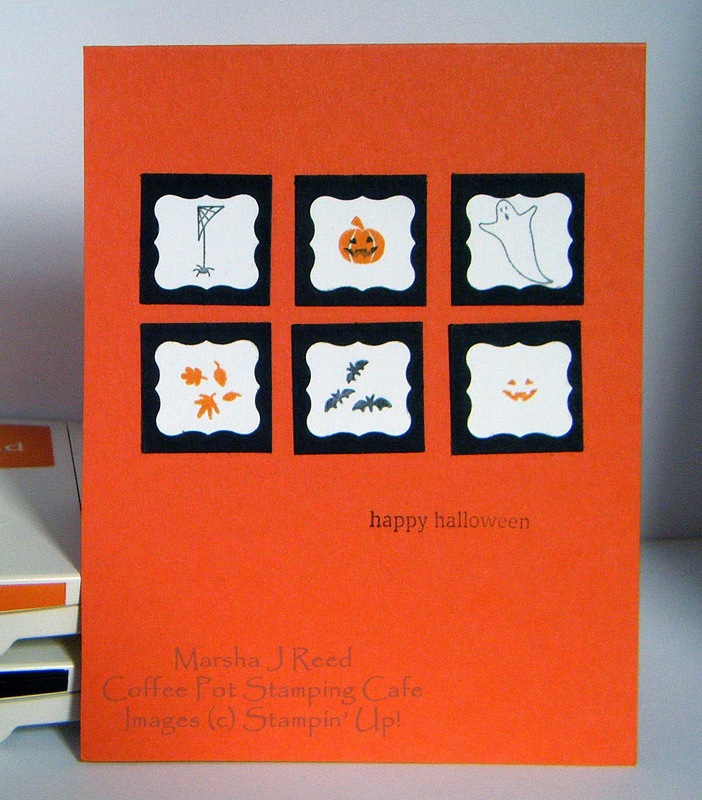 It isn't often that I make anything resembling Halloween but the images from the Holiday Home stamp set were perfect for the Paper Players sketch challenge. Funny thing is, it's very similar to the design Sandy Mathias did and that was not intentional on my part. I didn't see hers until after I had mine all done. 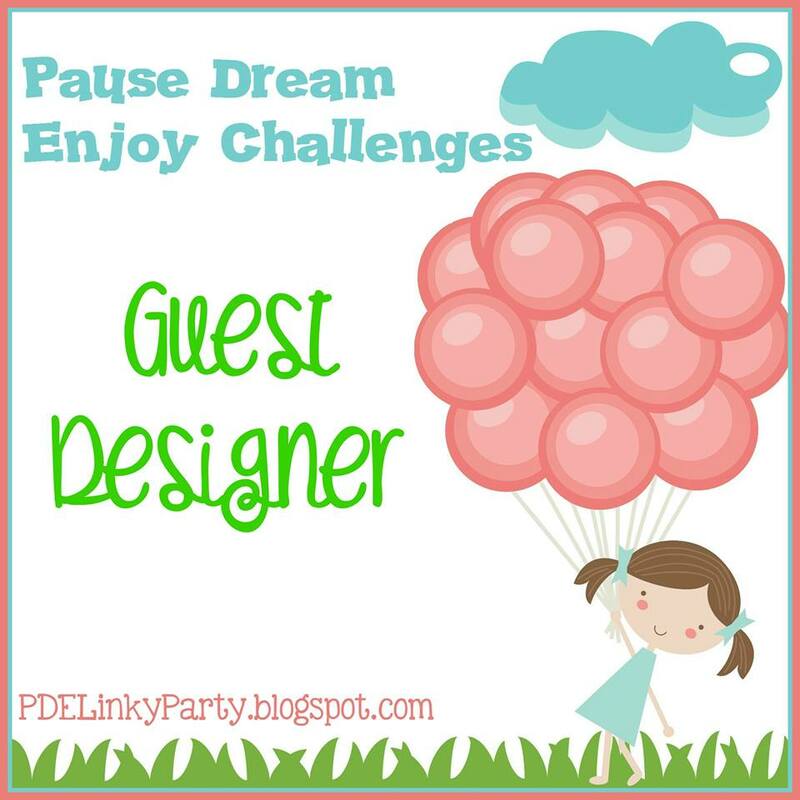 One of the things I purposefully do when I enter a challenge, is not look at the projects from the design team until after I have mine done. Interesting how we can see the same thing in a sketch and come up with a slightly different look. Ever have one of those days when you know what you should be doing but you are avoiding and doing what you want to do? Well, that's my day for you. I have a mile long list of things I need to do and here I am making cards. Maybe that is the beauty of retirement. You make your list, then ignore it to have some fun. At least there is nothing earth shattering on my list. One of the things I've found about making lists, if you don't get it done today put it at the top of tomorrow's list. You'd be surprised at how quickly you do get all things done. 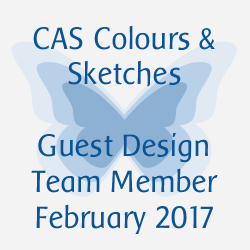 Now on to the card I made for the CAS(E) this Sketch challenge and the ColourQ challenge. The ColourQ Challenge can be found HERE. Another quick, short post for you today. I've been a bit under the weather so haven't spent a lot of time creating but I managed a wee bit of time to combine a couple of challenges. 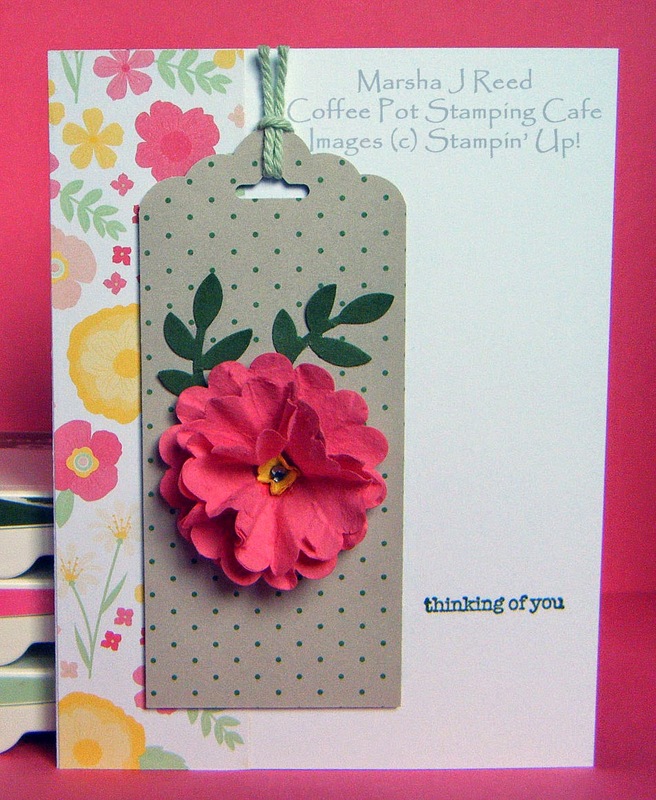 I loved the sketch at Just Add Ink and the design fit the CASology Cue Card Word Challenge perfectly! I always thing of butterflies when I see or hear the word flutter. The Just Add Ink sketch can be found HERE. 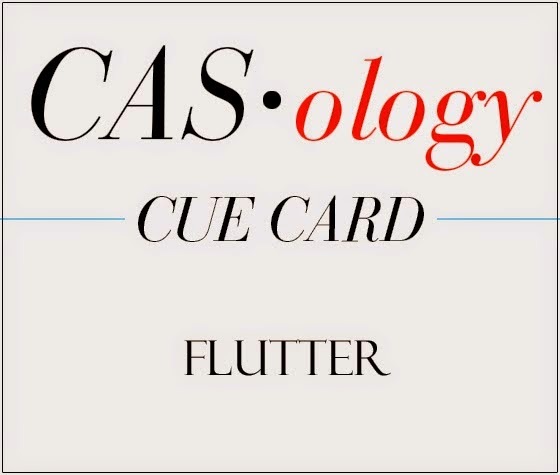 The CASology Cue Card Word can be found HERE. 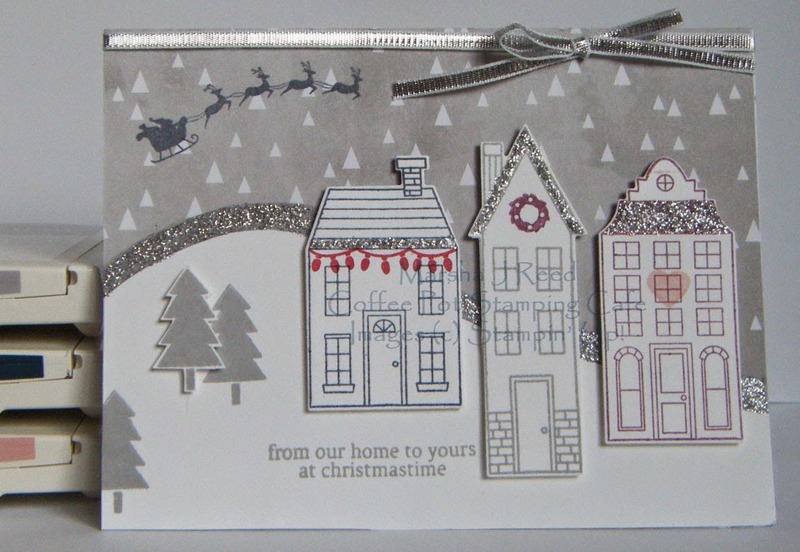 It's an 'anything goes' challenge for us this week at Sunday Christmas Card Challenges. You get to choose the design and the colors. I chose a clean and simple (CAS) design for this one. I also used one of my favorite techniques. 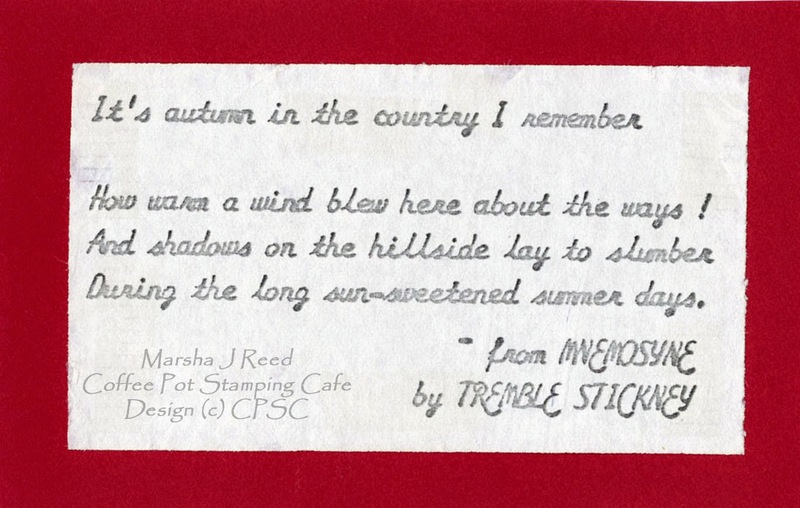 I attached my squares of paper, stamped the sentiment, then used an embossing folder to dot up the whole layer. 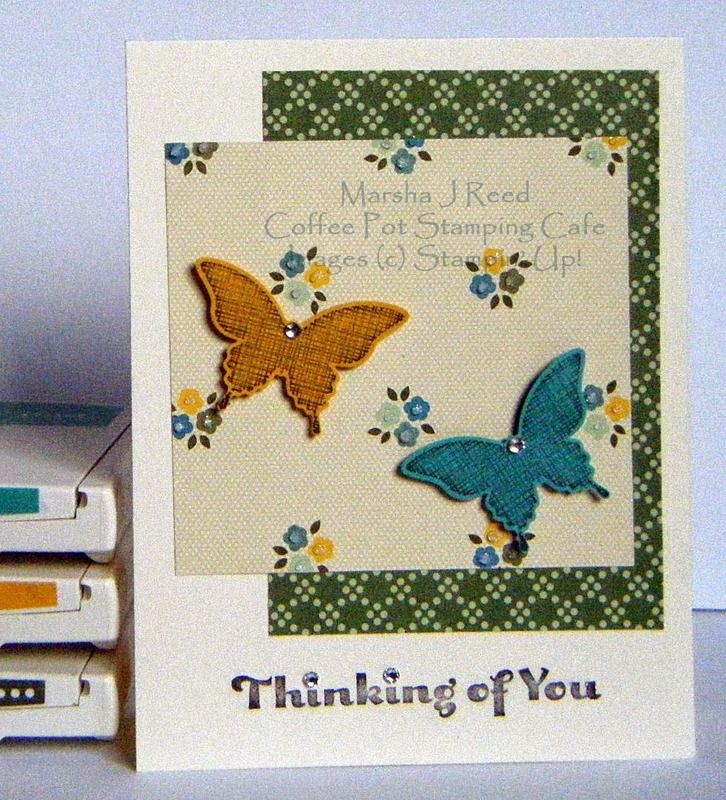 I used one of my favorite retired stamp sets for the sentiment. You can find the details for the Sunday Christmas Card Challenges HERE. We do hope you will join in and share your projects with us. 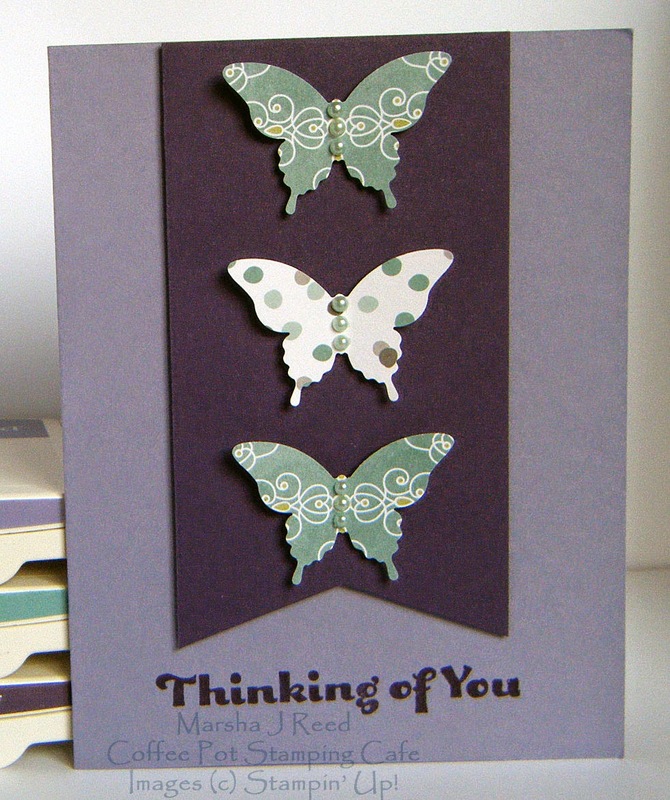 A quick, short post for you today to share the card I made using the sketch from Retro Sketches. I know, there is nothing like waiting until the last minute. Considering I've had the card made for several days, I just can't figure that one out. Anyway, here's my take on this weeks' sketch. 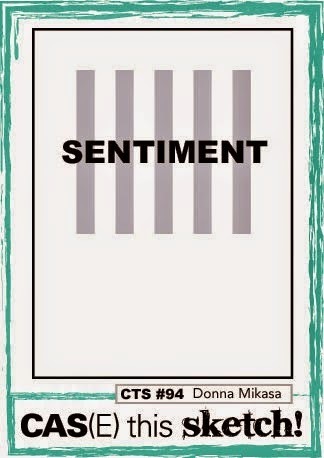 The sentiment was stamped on the inside since it is such a large one. 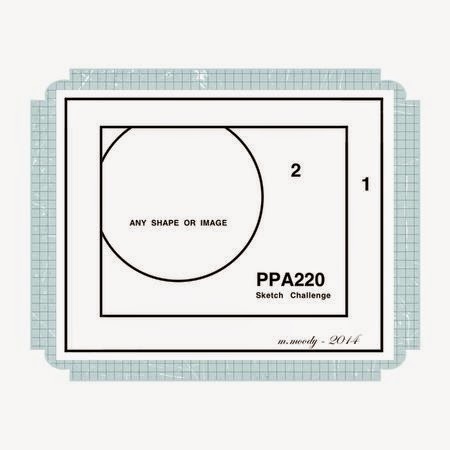 You can find the Retro Sketches Challenge HERE. It has been a cloudy, rainy, cold and gloomy day here in Iowa. As much as I love Autumn, I prefer the sunny days of fall. To cheer myself up, I made a springlike card for the Freshly Made Sketches challenge. It also gave me the opportunity to use up some paper scraps that were laying around. I love it when that happens. The pretty Strawberry Slush flower is an extra left over from another project and it looks so good with the flowered paper from the All Abloom Designer Series Paper Stack. 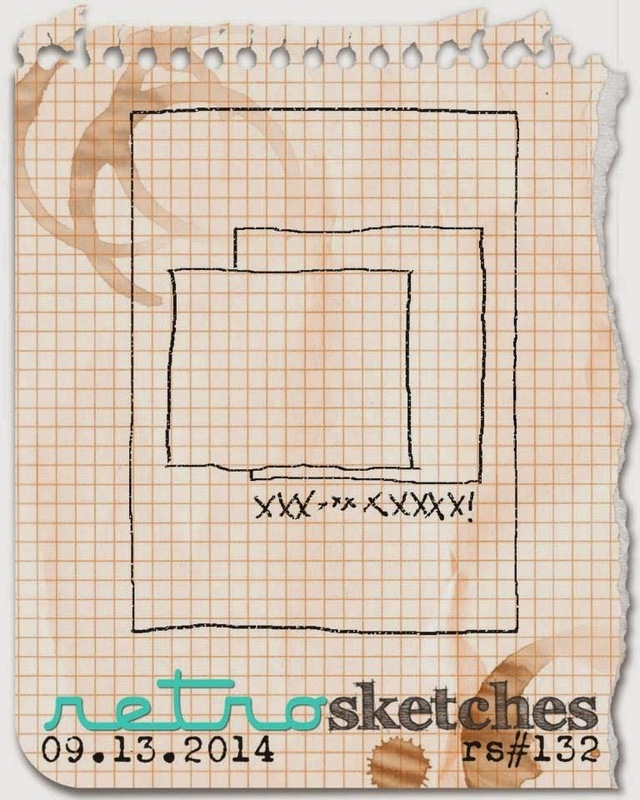 I loved the sketch from Freshly Made Sketches. There is still time for you to play along, too. You can find all the details HERE. My oldest son, Wayne, has a birthday coming up soon. With his recent move back to Tennessee, I won't get to hand him his birthday card. That meant I had to get it made and in the mail so he gets it on time. 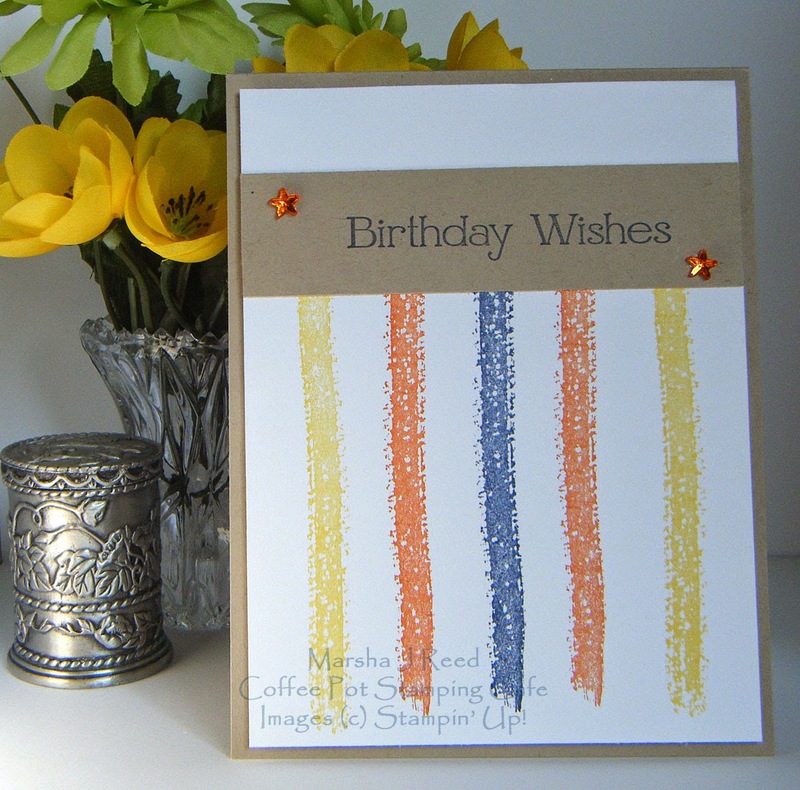 The Paper Players CAS (Clean And Simple) Masculine Birthday challenge and the sketch from Pals Paper Arts were the perfect combination for his card. 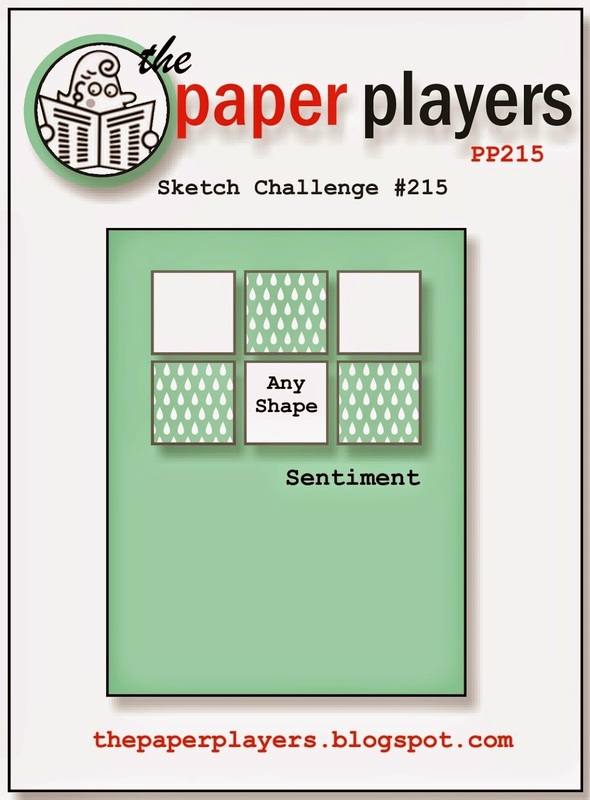 You can find the sketch challenge from Pals Paper Arts HERE. 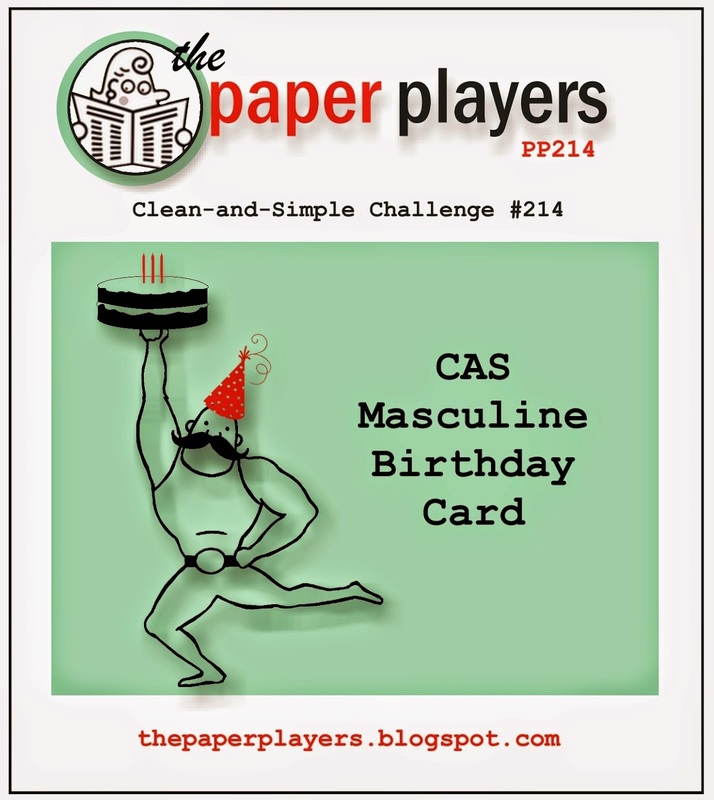 The masculine birthday card challenge from The Paper Players can be found HERE. But I wanted to share a very special picture with you. It's one that is from an album that my dad gave to each of us for Christmas many years ago. All of the pictures were taken by him and he found appropriate prose or poetry to tell the story of the photo image. It's a wonderful album and a cherished treasure. Today just happens to be the first day of Autumn and Iowa is totally gorgeous in the Fall. I don't remember the exact location but this photo was taken somewhere near my aunt's farm. 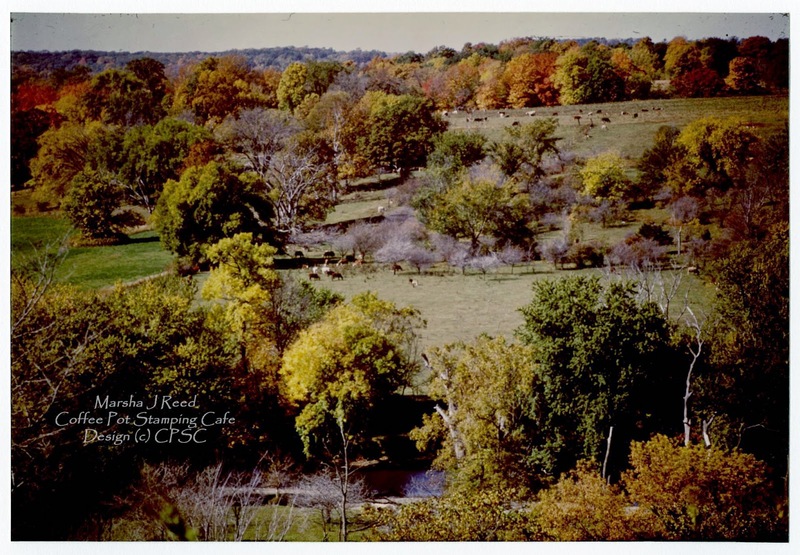 The photo is old as it was taken sometime in 1960. Wow! I don't know about you but this week has just seem to fly by! Of course, it has been a busy one for me so maybe that explains it. Anyway, it's time for another Sunday Christmas Card Challenge! 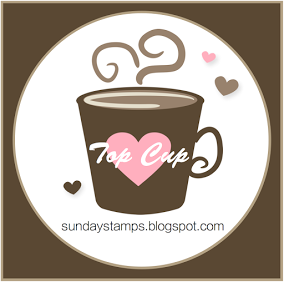 I loved the inspiration photo this week and made a cup of hot chocolate to share with you. I'm sorry but I forgot the marshmallows! You can find the Sunday Christmas Card Challenges inspiration photo HERE. I do hope you will join us this week. Combining challenges is something I really enjoy doing, usually because I have a deadline and one challenge will close before the other but I want to play along. With Design Team obligations for Christmas Card Challenges, upcoming events to prep for and custom orders coming in, it's no wonder I like the two for one. It simplifies my life and still keeps me creating all of the time. 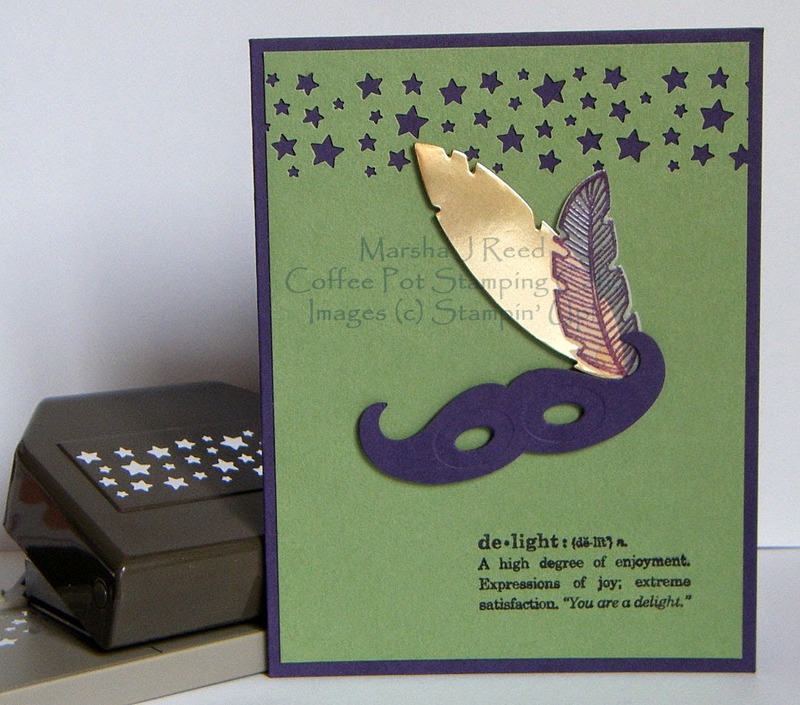 Today's card comes from the sketch at Freshly Made Sketches and the colors from Fab Friday, two of my favorite challenges. It's been a while since I used my Beautiful Wings Embosslits and I was in the mood for some pretty butterflies. 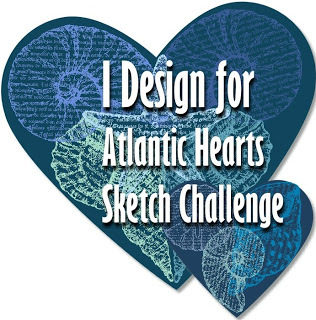 The sketch challenge from Freshly Made Sketches can be found HERE. 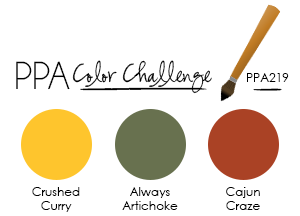 The color challenge from Fab Friday can be found HERE. 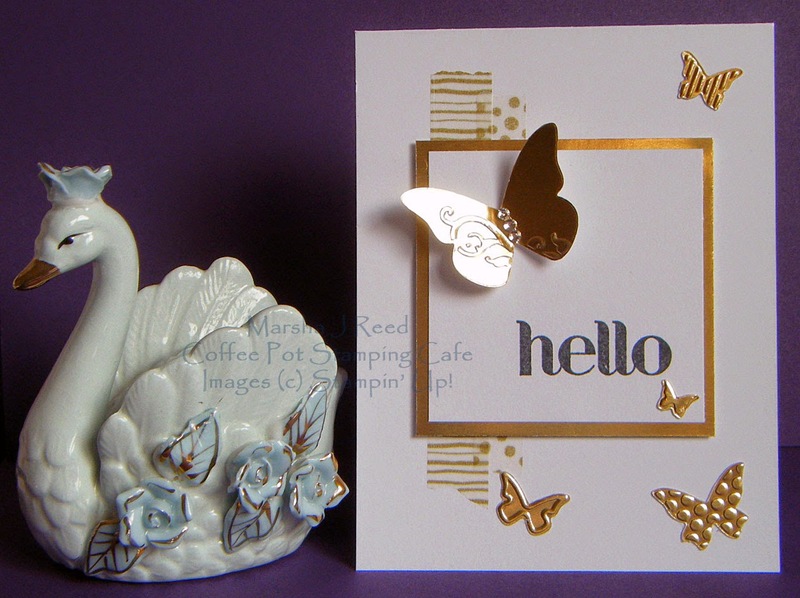 You've arrived at the Coffee Pot Stamping Cafe from Priscilla Ivler's blog. Didn't she have some great projects to share? 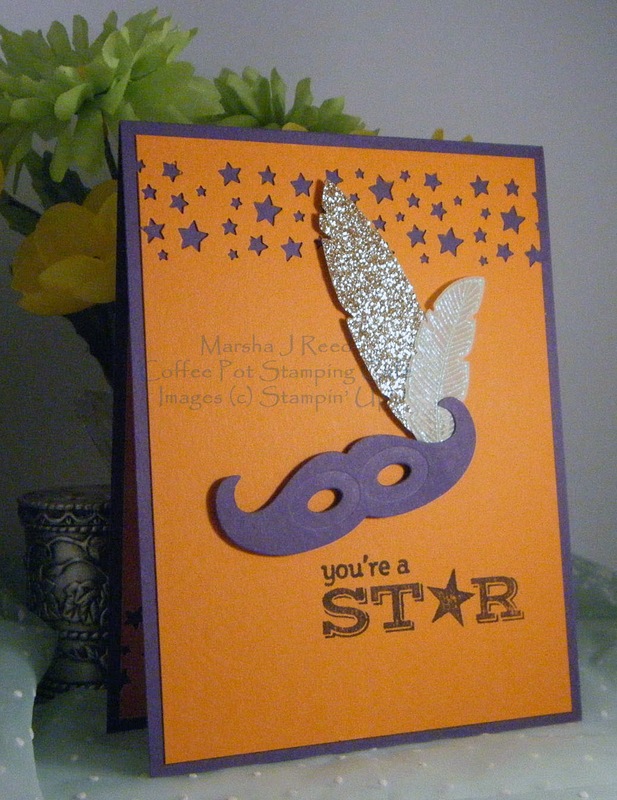 The creativity of my fellow Stampin' Up!® Demonstrators never ceases to amaze me. 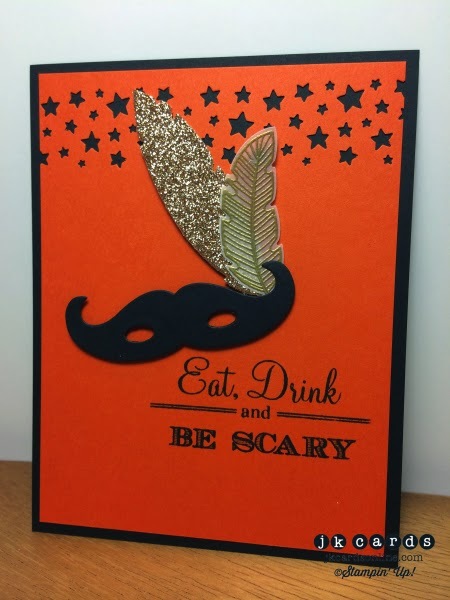 My first project uses the new Four Feathers Stamp Set and the Feathers Framelits Dies from the Holiday Catalog. 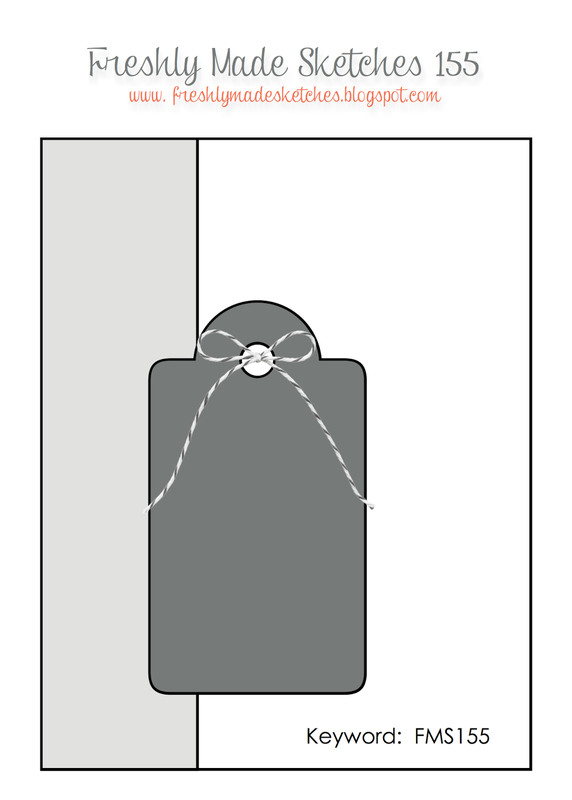 While browsing the other day, I came across this card design and knew I wanted to CASE (Copy And Share Everything) it. I'm afraid I forgot to write down the original designer's name but I do thank her for this great clean and simple design. 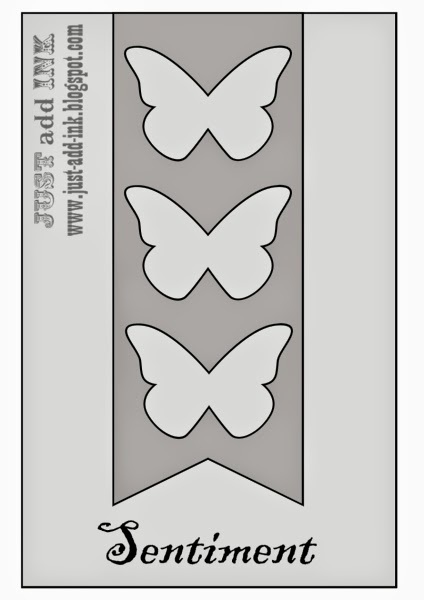 For my second project, another CASE, is a design I saw from Justin Krieger and totally fell in love with it. It was all I could do to wait for my order to get here so I could make it. 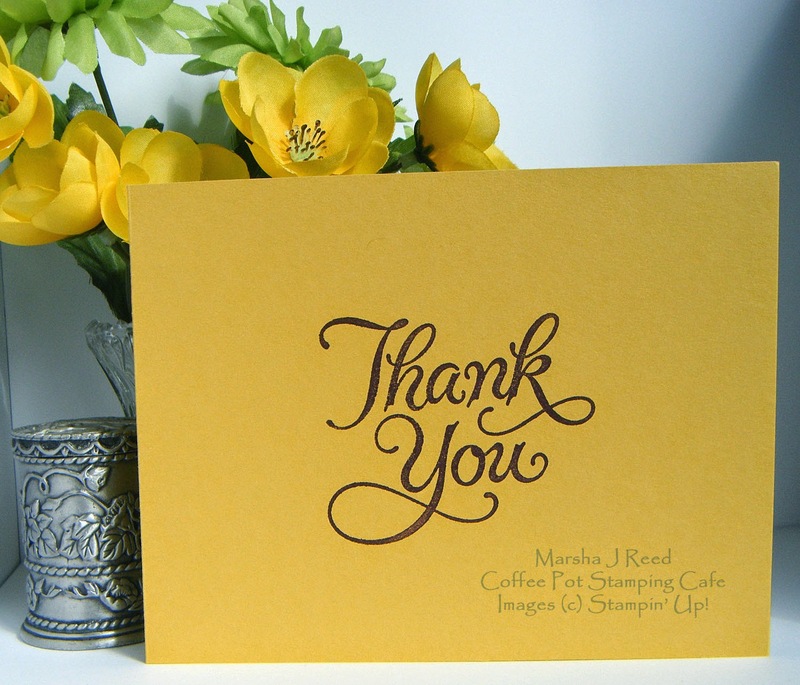 The sentiment is from the Pictogram Punches Stamp Set. Thanks, Justin, for the inspiration for this very cool card! With the cool days and nights we've had in Iowa lately, you know that Fall is fast approaching. We are already seeing some color changes in the trees. 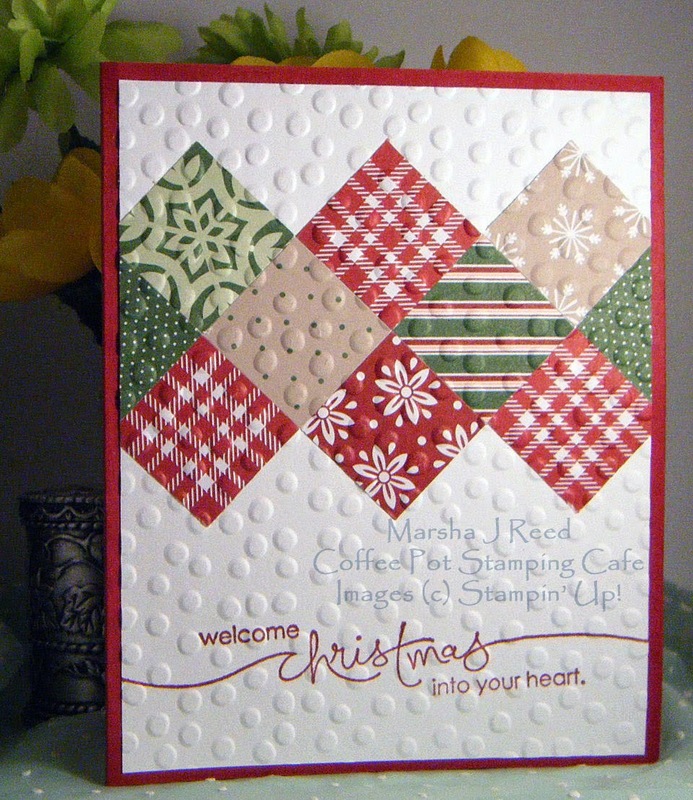 My next card uses the new For All Things Stamp Set from the Holiday Catalog. I fussy cut three of the oak leaf images and made a fall leaf bouquet. 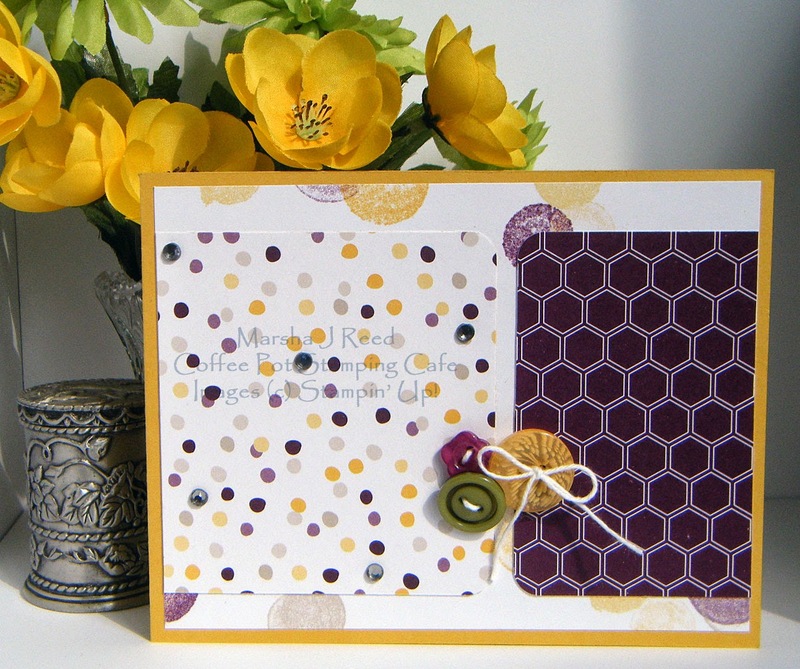 The colors I used are from the current Paper Players color challenge. They are perfect for fall colors. 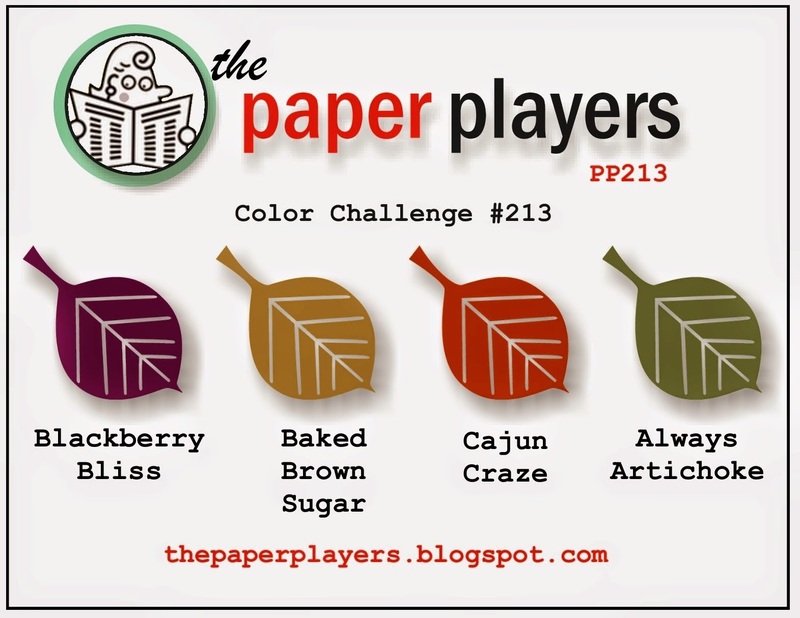 You can find The Paper Players Color Challenge HERE. Well, there you have it from me, now it's time to head over to see what Marie Green has in store for you. Just click the button below to move forward. 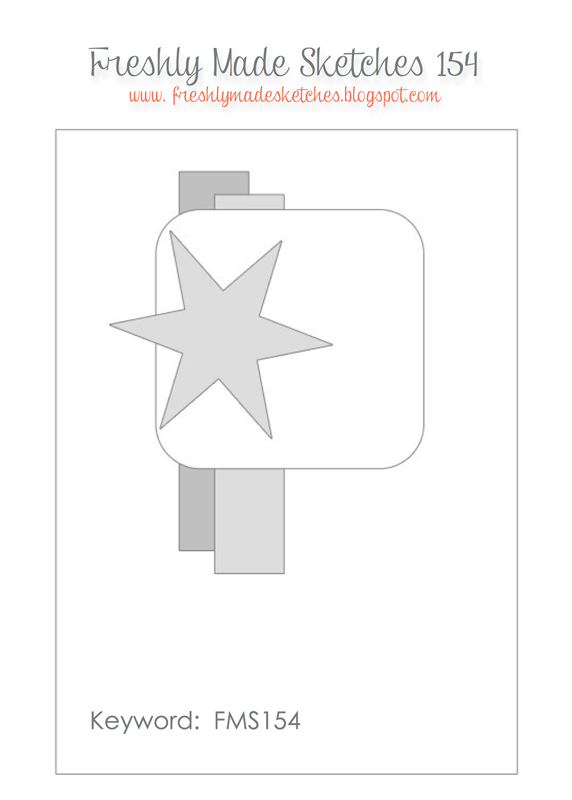 To revisit Priscilla Ivler, you can click the button below to fall back. To head back to where it all began, click the following button. It will lead you to the Wacky Watercooler Stamping Blog. As I sit here looking out my craft studio window, there is a blanket of fog giving a blurred version of the world outside my window. With the official start of Autumn coming on Monday, I'm not surprised. Fog seems to be more prevalent in the Fall than at any other time of the year. Fall is also my favorite time of the year. I love the crisp air and the changing colors of the trees. 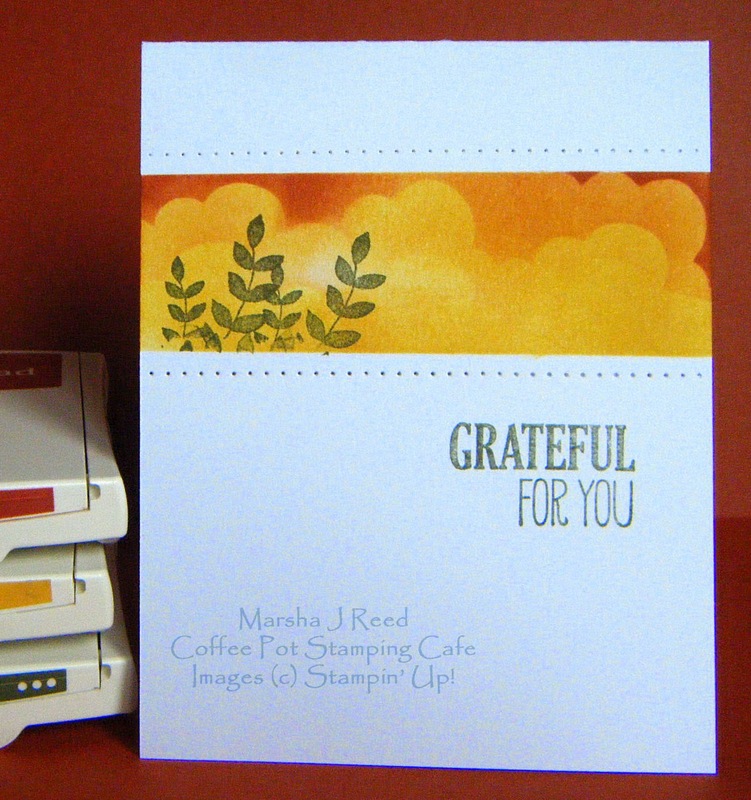 Some of those pretty leaves made their way onto the card I designed for the SU-Only Challenges. The challenge was to make a project using one of the embellishments found on pages 209 and 209 in the Stampin' UP!® Annual Catalog or similar types of products found in the Stampin' Up!® 2014 Holiday Catalog. I used the Mini Brads from page 209. You can find the SU-Only Challenge HERE. 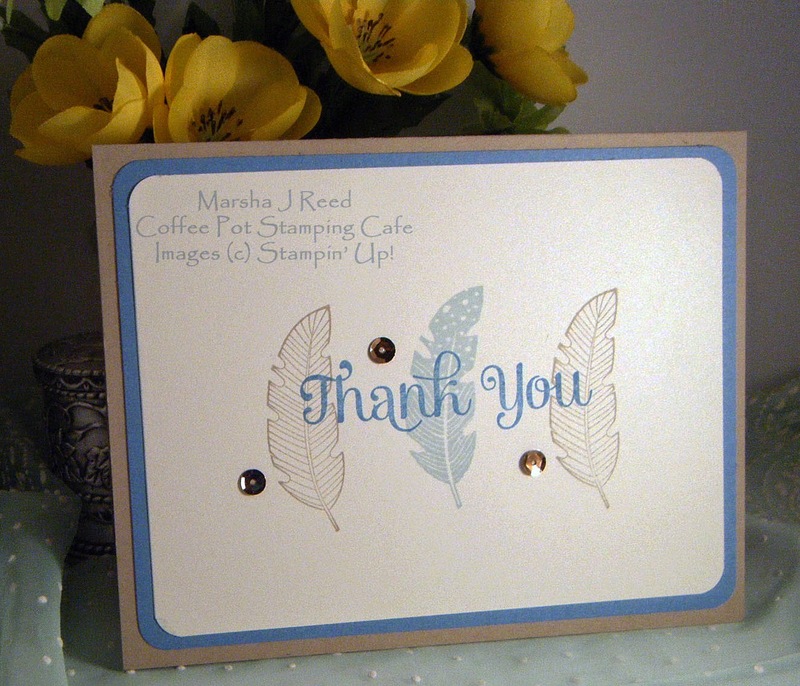 The leaves and sentiment are from the new For All Things Stamp Set. 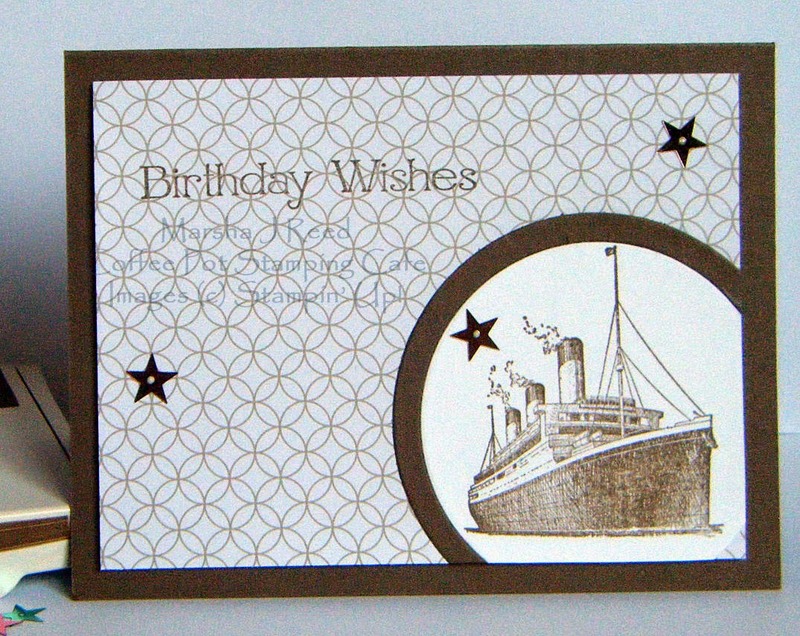 I fussy cut them, attached them to the Moonlight Designer Series Paper then, ran it through the Big Shot using the Decorative Dots Embossing Folder. I love that Mossy Meadow Stitched Satin Ribbon! 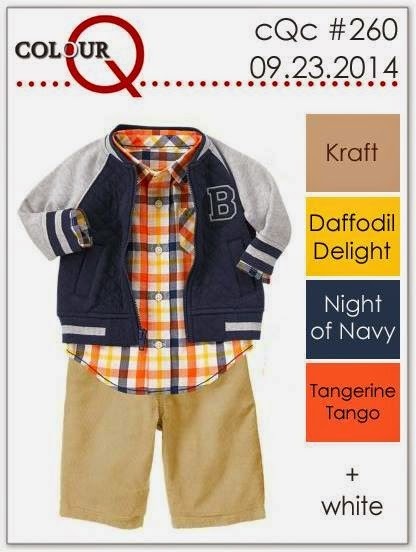 Be sure to stop back later to take a tour of the Wacky Watercooler September Blog Hop where we will feature holiday and Autumn projects inspired by the 2014 Holiday Catalog and the 2014-2015 Annual Catalog. Have I told you how busy my week has been and it is only Wednesday. I've been on the go since Sunday and not had a lot of time to spend in my craft studio. It's late afternoon, I'm ready to put a movie in the DVD player, kick back and catch my breath. It's not often I sit down and do a little of nothing but before I go I wanted to share a new card I made for the Retro Sketches challenge. 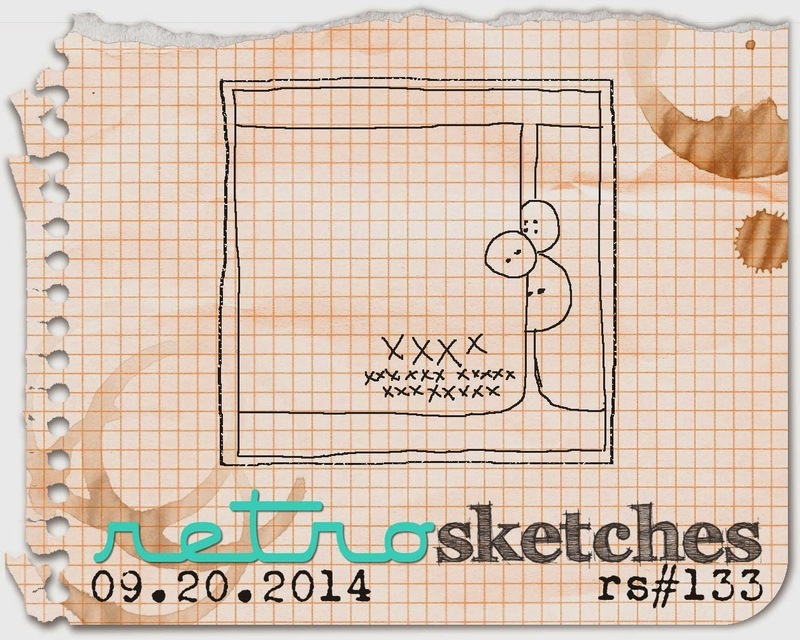 The Retro Sketches challenge can be found HERE. 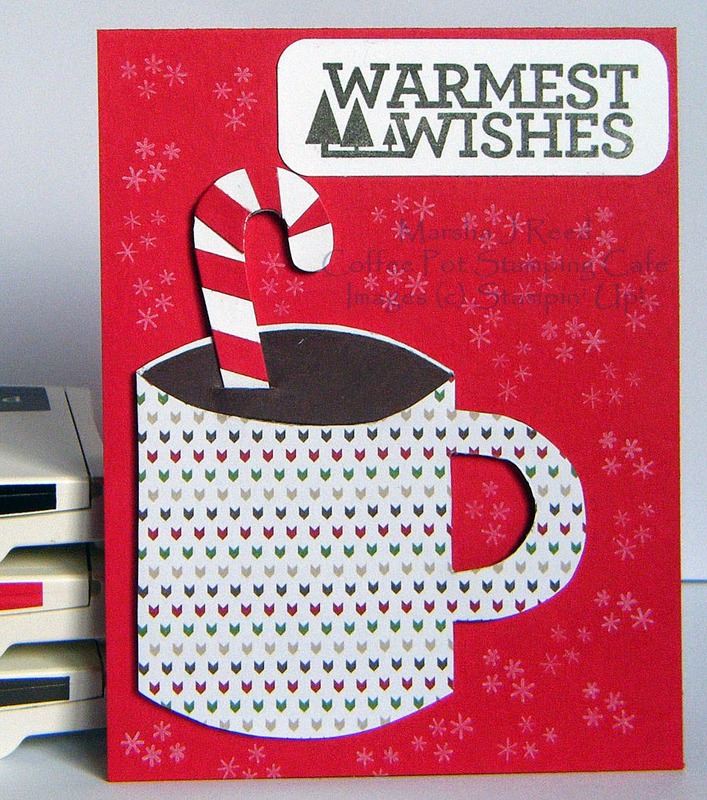 You can find all the details for the Sunday Christmas Card Challenges HERE. 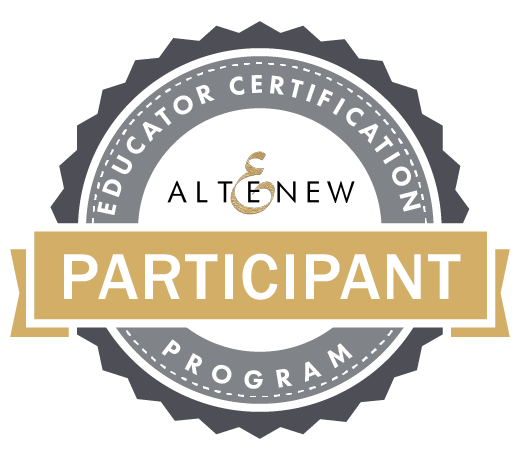 We would love to have you join us. A few months ago, someone asked me if I would help with invitations for a birthday party, to be held in February of next year, that had a Mardi Gras theme. When I first saw Justin Krieger's card, it was perfect for the birthday invitation. So, I knew I was going to CASE (Case And Share Everything) it. 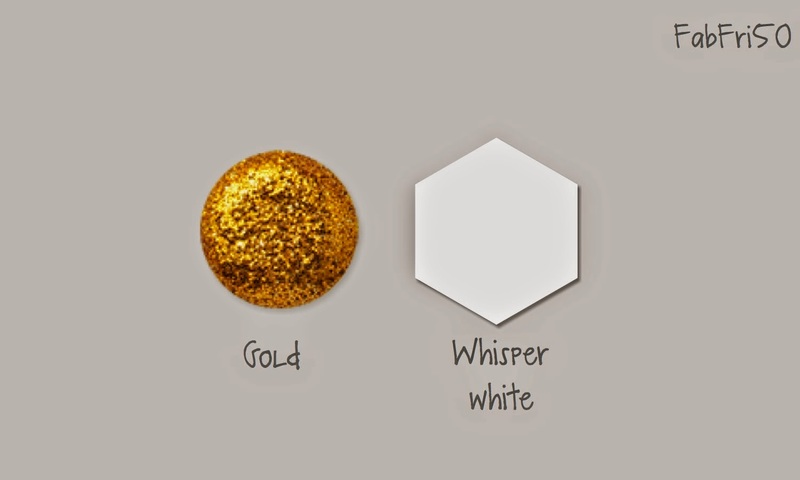 I wanted the traditional colors of Mardi Gras and with a little research, I found those colors to be green, gold and purple. I didn't have a current sentiment stamp that I liked for my card so, I dug out my retired Define Your Life. 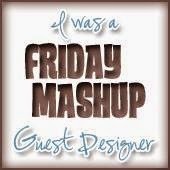 It's one of the few sets that I have kept from those that have retired since I've been a Stampin' Up!® Demonstrator. This was a really fun card to make and I want to thank Justin for the inspiration. Here is the card that Justin designed. I love the black and orange he used. Click on his name above or the photo below to see his blog post about his card. Fall is my favorite time of the year. I love the changing colors of the trees, the cool, crisp evenings and the huge beautiful harvest moons. Consequently, I loved the challenge this week at The Paper Players. 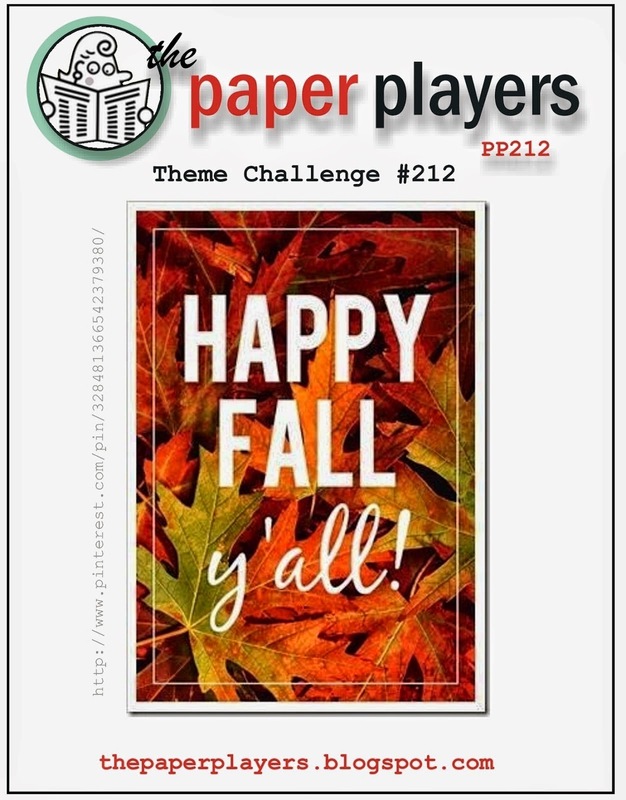 It's a Happy Fall, Y'all theme challenge. 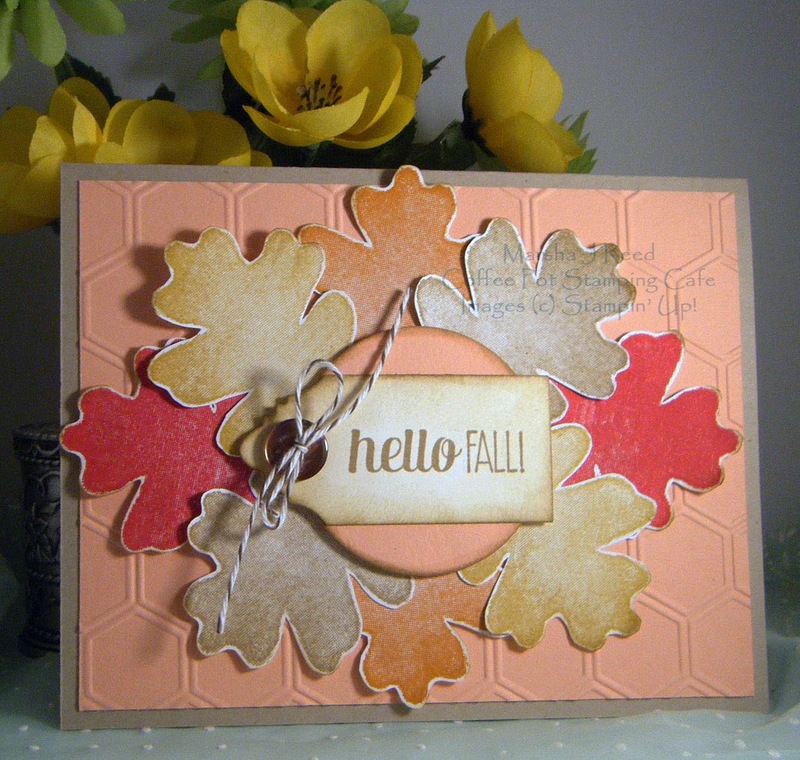 The leaves are from the new For All Things stamp set and I fussy cut them so they looked more 3-dimensional. And, that tag...it's one of the little houses from the Holiday Home Framelits Dies. You can find the inspiration photo from The Paper Players HERE. Remember, items are only available while supplies last. New deals are available every Tuesday. To order, click the product image below to be taken directly to My Stampin' Up!® Store.